We were delighted to welcome the Bank of England’s North East Agent Mauricio Armenllini to Odyssey this week to be our key speaker at a special business breakfast. A group of Odyssey customers, including Armstrong Richardson & Co, Better Brand Agency, Charles Clinkards, Coles Solicitors, Jackson Law, Maguires Carpets, Sam Turners and Recognition PR came together to discuss the issue of productivity and how it is affecting their businesses and the wider economy. Mauricio gave an overview of the economy, the Bank of England’s monetary policy, inflation and the recent rise in interest rates, which opened up a discussion on the challenges and opportunities facing businesses. Productivity has been a key issue for the economy in recent years and guests discussed how the use of technology and improved processes are addressing productivity challenges in their business. Guests also shared the consensus of opinion that the region is well-placed to tackle the challenges and embrace the opportunities the economy is currently presenting as they have done in the past, to build resilient, growing businesses. Our Managing Director Mike Odysseas said: “We were delighted Mauricio could join us for our productivity breakfast. 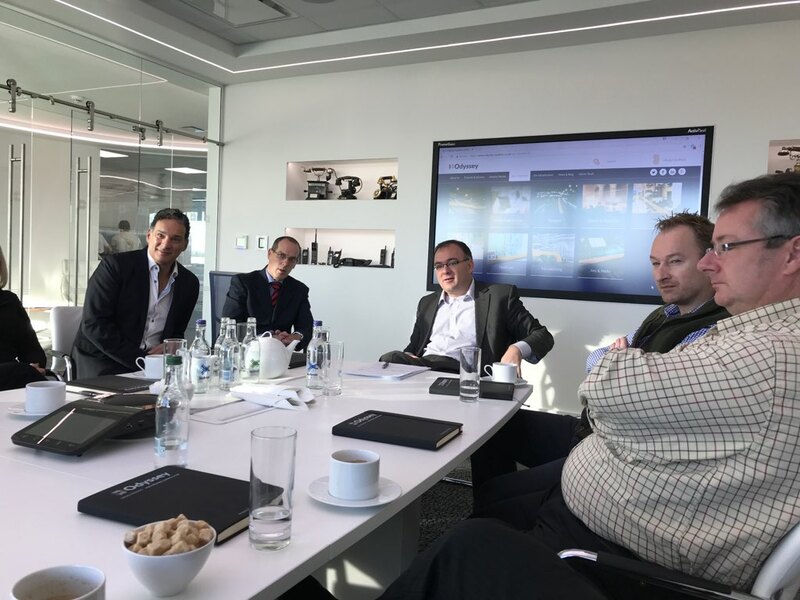 His level of knowledge is outstanding and he provided a real insight into what is happening in the economy, but he was also very keen to hear from the businesses around the table about what is happening on the front line of enterprise. “Inflation also proved to be a lively topic of conversation with businesses around the table keen on a sustained period of no inflation to enable us all to give our customers the best deals and control our prices. Raising interest rates is a way of controlling inflation, but the recent rise has made little impact so it will be interesting to see what the Bank of England does next.